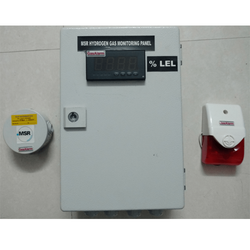 Leading Manufacturer of very early fire & smoke alarm - vefsa, carbon dioxide analyzer, digital gas alarm system, analyzer systems, carbon monoxide analyzer and gas alarm system from Jaipur. 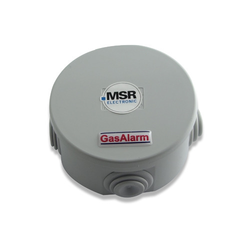 Gas Alarm offers world-class solutions and products for earliest and accurate fire and smoke monitoring, without giving any false alarms. 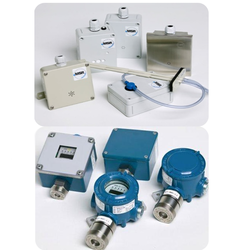 These products offer warning signals better and earlier than costiest system like VESDA, optical sensors etc. Very Early Fire & Smoke Detector, AlarmGasAlarm offer one of the best smoke & fire detector which can be installed at any environment eg. coal mines, flour mills, pharma, clean rooms, oil & gas, etc. 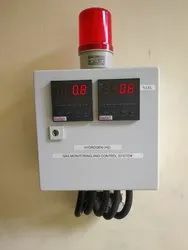 Early Fire detector / transmitter (VEFSA) is designed for detection of earliest sign of smoke & fire, and hence thereby offering better warning detection system, better than VESDA. Using unique detection technology and method, VEFSA offer best fire & smoke detection, without false alarm. These can be implemented at any location with quite easy. VEFSA is compatible for integration to any fire panel and alarm system, be to Siemens, Honeywell, GE etc. VEFSA works in environment and application where none of the conventional smoke & fire detection can work. VEFSA, though being more effective than some of the expensive solutions, it even more easy to implement and integrate, without having much design knowledge. As VEFSA provide earliest signs of smoke & fire, it buy the critical time needed to investigate an alarm and initiate an appropriate response to prevent injury, property damage or business disruption. VEFSA offer various levels of integrity monitoring to ensure an alert is raised at any time, depending upon criticality of the application and environment. This is not the case with passive devices that are generally only electrically monitored with no ability to determine if smoke can actually reach the detection element. VEFSA offer dual level of alarms which are configurable. This VEFSA to provide very early warning of an event, prompting investigation at the earliest smouldering stage of a fire when it is easily addressed. Other alarm levels may be configured to provide fire alarm inputs to fire systems as well as releasing suppression systems. VEFSa alarm sensitivities are configurable and can be programmed to levels ranging from thousands of times more sensitive than a conventional detector, to much less sensitive. Carbon Dioxide (CO2) sensor transmitter includes digital measurement value processing and temperature compensation for the continuous monitoring of the ambient air to detect carbon dioxide concentrations. Providing you the best range of Alarm System such as Digital Gas Alarm System, Alert Medical Gas Alarm, Area Gas Alarm and Medical Master Alarm with effective & timely delivery. 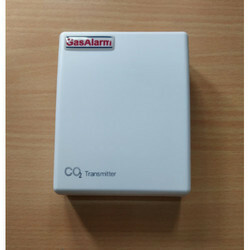 We are a unique name in the industry, devoted towards trading the best quality range of Digital Gas Alarm System. Digital Gas Alarm Systems come in 1, 2, 3, 4, 5, 6, 7 and 8 gas categories where the number indicates the number of gases the system can handle. The system measures the pressure of the different gases coming from the pipe lines and displays the measured levels on the panel in psi and bar. In case of High Pressure or Low Pressure it generates appropriate Alarm. 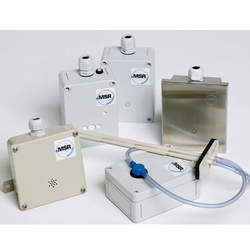 These alarms come with RS-485 Modus interface for BMS connectivity. One NO/NC terminal is built-in for alarm extension and provision is made for adding external NO/NC interface for each gas individually. The alarm is shown on the Master Alarm System which is placed with the administration and can also be communicated through SMS using GSM Gateway. 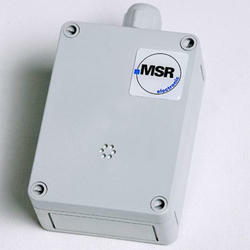 MSR – ADT-03-1110 Carbon Monoxide Analyzer CO transmitter including digital measurement value processing and temperature compensation for the continuous monitoring of the ambient air to detect carbon monoxide concentrations. For the detection of carbon monoxide (CO) within a wide range of commercial applications such as underground garages, tunnels, engine repair shops, loading bays, engine test benches, shelters, go-kart race courses etc. 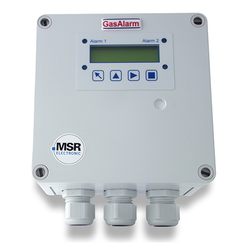 ALVI Automation India in association with Gas alarm systems, Australia are pleased to offer MSR Germany, Polygard Gas monitor for Ammonia, NH3. Ammonia, NH3, is highly toxic gas and is also highly explosive at very high concentrations. Gas Alarm India with ALVI Technologies Australia have MSR Gas Detector, Gas Analyzer, Gas Sensor, Gas Transmitter under MSR Polygard range to meet world critical safety standards for life and plant protection Our product range includes MSR microgard, MA-0-11xx, MC2-E11xx, ADT-x3-34xx, ADT-x3-11xx, SPC-x3-11xx. Analytical industry terminology frequently separates biogas and landfill applications into two different categories even though the gas itself is similar. Landfill sites have diversified waste input streams which seem to have an averaging effect on the gas composition from site to site. The gas can be quite aggressive and corrosive. But from a gas analyzer perspective, landfill applications are generally predictable and consistent enough to allow standard analytical equipment to be specified. Biogas applications may have gas that is produced from uniform feedstocks utilizing specific plant designs. For example, a palm oil facility will likely have only agricultural waste originating from a palm oil plantation. This means that the produced gas may be more characterized. It is therefore wise to obtain an analysis of gas composition and conditions before specifying permanent analytical equipment. Biogas applications also frequently have multiple sample points or other requirements that need to be addressed. Gas Bank, Lpg Bottling Plant, Lpg Booster Station, Lpg Store, Pharmaceutical, Cylinder Store, Gems Processing, Heat Processing, Furnace, Engine Room, Testing Rooms, Automobile, Defence, Warship, Anniling Plant, Chemical Plants, Oil & Gas, Fire Safety, Kitchen, Refinery, Food Processing, Cement, Bearing, Machine Industry, Swimming Pool, Combustion Area, Bakery, Commerical, Hotels, Mines, Confined Space, Lpg Pipeline Etc. 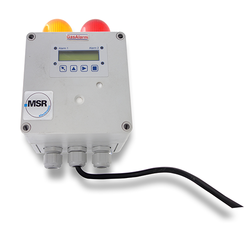 MSR Germany Hydrocarbon Sensor, Transmitter, Detector Gas Alarm Systems in association with Gas Alarm Systems Australia offer Hydrocarbon sensor transmitter / detector/ analyser from MSR Electronic, Germany with following features.